EXCLUSIVE: It was something out of a horror movie, but it was true and it happened in this country, in a small town in Florida. In a small, wooded area in Marianna, FL, 96 boys died who were attending the Arthur G. Dozier School for Boys — a reformatory in Florida opened in 1900 and shut down in 2011 amid allegations of torture, beatings, rapes and even murder at the hand of some of those on staff. It is now the center of a crime scene in the state of Florida as bodies of 55 young boys were exhumed for examination, 24 more than the official school records indicated. Now Bee Holder Productions, the company who secured the rights to Dr. Jack Kevorkian for the Emmy and Golden Globe-winning HBO biopic You Don’t Know Jack, is developing a feature based on the ripped-from-the-headlines story after acquiring rights to some of the most outspoken survivors of the school who sued the State of Florida. 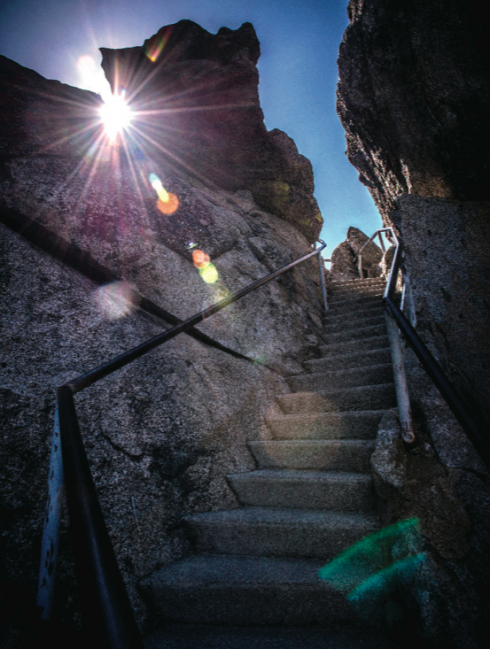 On board to consult will be investigative journalist Jeffrey Scott Shapiro, an author and legal correspondent for The Washington Times, who has been investigating the story for the last year as children’s bodies were exhumed. The film is titled The Reformatory. “When you read this stuff, you can’t believe this happened in our country. It’s unbelievable and so horrific,” said Steve Lee Jones, president and producer at Bee Holder, which hired scribe Keir Pearson to draft an original screenplay. Pearson is no stranger to stories based on real people and events. He earned an Oscar nomination with Terry George for original screenplay for Hotel Rwanda in 2005, brilliantly bringing to the big screen the heroism of hotel manager Paul Rusesabagina, a savior to over a thousand Tutsi refugees during their struggle against the Hutu militia. He also co-scripted (with Timothy Sexton) the upcoming biopic Chavez about civil rights hero Cesar Chavez starring Michael Pena as the dogged yet passionate champion for immigrant farm workers. The film also stars Rosario Dawson, John Malkovich and America Ferrera. Last week, the former Governor of Florida Bob Martinez stepped forward to champion the cause, asking for reparations for the victims. The Reformatory will be told from the viewpoint of the victims when the school was privately run in the mid-1950s. It was taken over by the state in 1969, but still the abuse continued, said Jones. “The abuses took place well into the 1980s. It was really horrific in the 1950s and 1960s. It was segregated at that time. It was like a freakin’ gulag.” The school, which had changed its names three times, was closed in 2011 by the Florida Dept of Juvenile Justice. 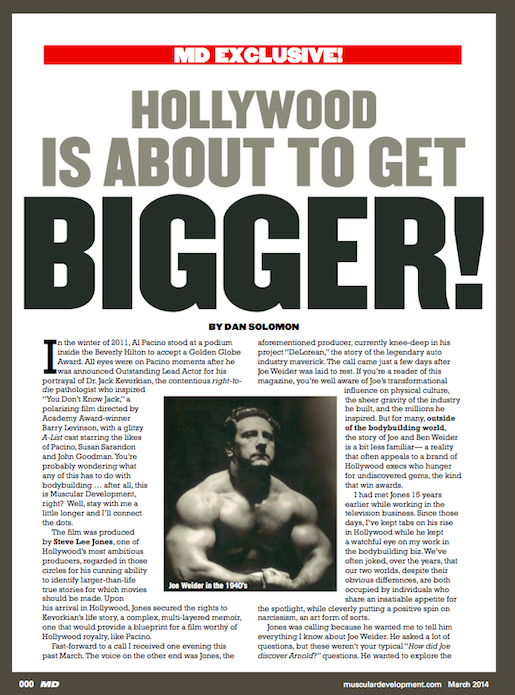 Last year, Bee Holder optioned the rights of bodybuilding legend Joe Weider and his brother Ben and signed Brad Furman (The Lincoln Lawyer) to write and directBigger, a rags-to-riches story about the brothers who established the fitness industry and created the Mr. Olympia competition. 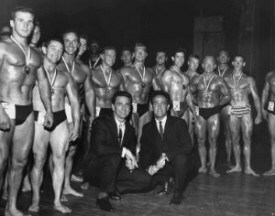 It was Weider who mentored Arnold Schwarzenegger. The Reformatory deal was closed for Bee Holder by Shannon Hensley with AGMB in Los Angeles. Pearson was repped by manager Adesuwa McCalla via Metamorphic Entertainment. Hollywood is about to get BIGGER!